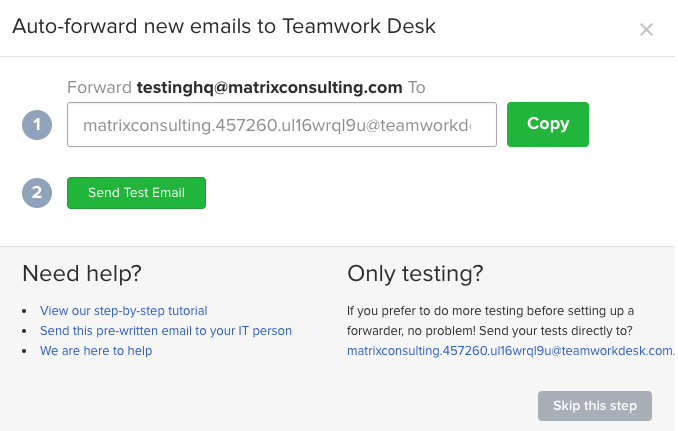 Within Teamwork Desk you may need to forward emails from your personal email directly to your Desk inbox. When you first create an inbox, a pop up will show allowing you to set up auto-forwarding to Desk. In your email client, go to the forwarding settings and paste the inbox address from Desk to complete the setup. For Gmail, a test email will be sent to your Desk inbox with a confirmation code before you can confirm the setup. 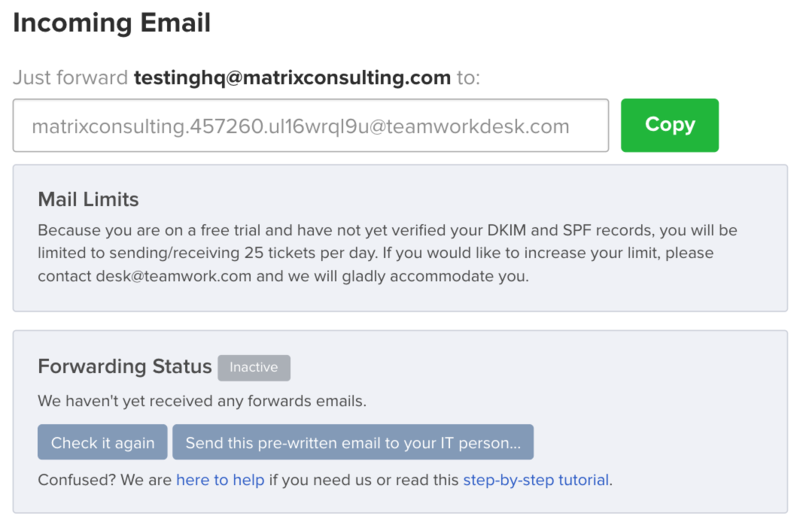 To set up forwarding for an existing inbox, you can access the forwarding email address within your Desk site settings. Click on the your profile icon to the top right of the navigation bar and select Settings. 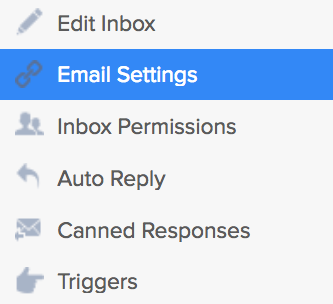 In the settings area, go to the Inboxes tab and select the inbox you wish to forward to. Choose Email Settings in the left pane. Scroll up to locate the forwarding email address.